On April 21, the UP TV original movie New Life will debut at 7 PM. From the innocence of a childhood friendship through adolescent attraction, Ben and Ava (Jonathan Patrick Moore and Erin Bethea) have a beautiful life together and their love grows stronger every day. When life takes a turn neither of them expect, their future and the life they planned will never be the same. 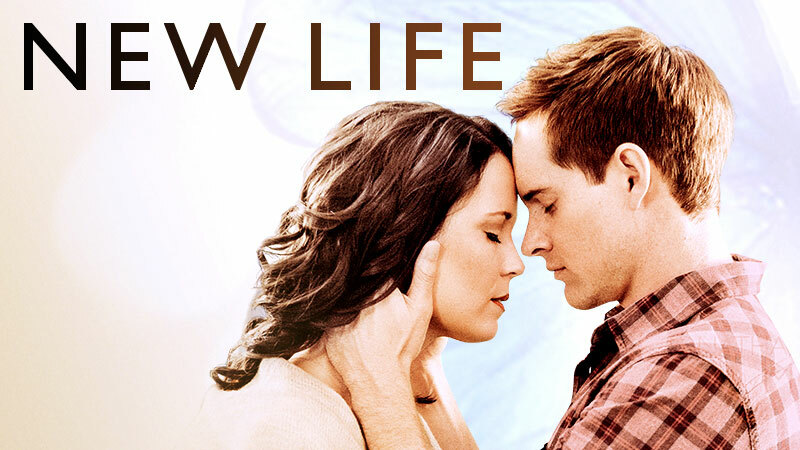 Here is a trailer for New Life. 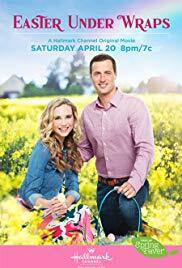 The Hallmark Channel movie Easter Under Wraps will debut on April 20 at 8 PM. 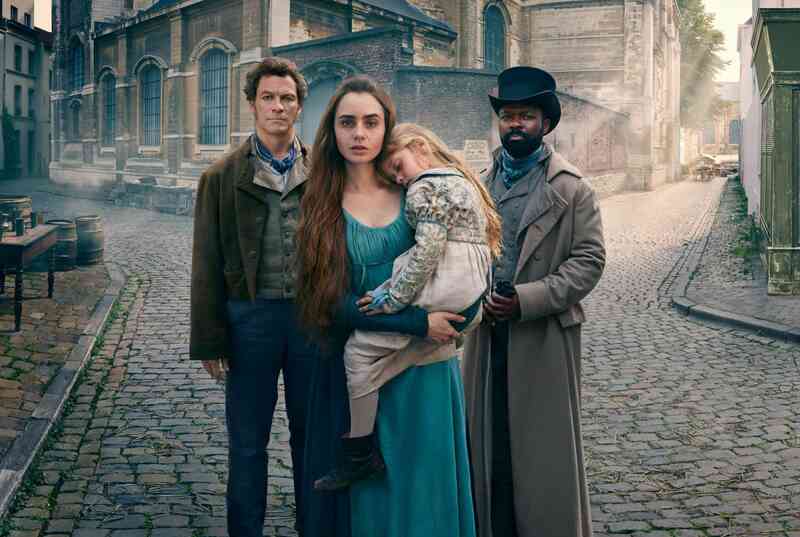 Marketing director at Cavendish Chocolates, Erika (Fiona Gubelmann) goes undercover to see why sales have declined and learns from handsome chocolatier Bryan (Brendan Penny) automation has replaced quality. Later, at the museum, Erika is saddened to see the replica of the Cavendish egg, and is inspired by Bryan’s Easter egg sketches to go retro and bring back the legendary confection! Excited, the two pitch the idea to board members, who know Erika is undercover. Too bad Bryan sees her photo at a Cavendish event, and feeling duped, wonders if he should accept a job offer from a rival company. Here is a trailer for Easter Under Wraps. 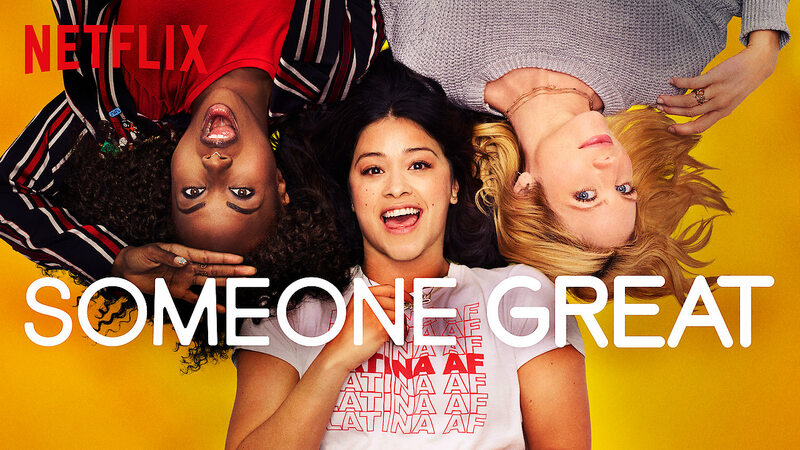 On April 19, the Netflix movie Someone Great will debut online. An aspiring music journalist, Jenny (Gina Rodriguez from Jane the Virgin), has just landed her dream job at an iconic magazine and is about to move to San Francisco. Rather than do long distance, her boyfriend of nine years, Nick (Lakeith Stanfield from Get Out) decides to call it quits. To nurse her broken heart, Jenny gathers up her two best friends, Erin and Blair (DeWanda Wise from She’s Gotta Have It and Brittany Snow from Pitch Perfect), for one outrageous last adventure in New York City. The cast includes Rosario Dawson (Daredevil).